Stadia is Google’s first gaming platform. Playing games on Android has been a thing for quite some time now. There are numerous developers who are claiming that their games have console grade graphics, but, let’s be honest, they don’t. Google Stadia is here to solve this problem once and for all. It basically allows you to play PC games on your phone with a quality of upwards to 4K 60FPS. Insane, right? Let’s take a look at it. Google Stadia is a cloud gaming platform. Much like Moonlight and Liquidsky. Closer to Liquidsky because Moonlight is only used for local streaming which is not the same thing. And if you’ve never seen this before, all you basically do is “stream” a game directly from a gaming PC to your phone or any other low-end powered device that you have. So, in that sense, it’s as if you’re directly playing that game on your phone. At the reveal, we only saw it working in its beta form. So, at this point, there are lots of questions that have been left unanswered. How much latency is there? What network speeds are required? How much will it cost as a service? How does the controller connect directly with Wi-Fi when the data center is at best a few kilometers away? For once, the small demo that we saw showcases that there is little to no noticeable latency. It’s almost as if you’re playing directly on your device. Furthermore, switching from one device to another is as simple and fast as possible which is a huge plus. 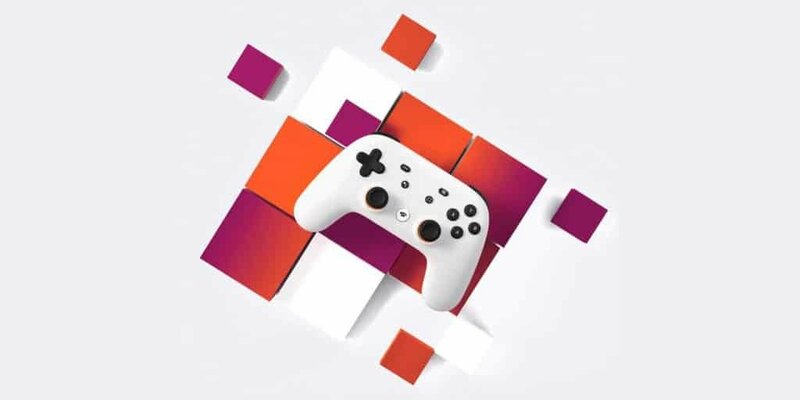 Google says that you’ll be able to normally use Stadia with your own controller. But, if you wish to do so, you’ll have the option of getting the Stadia controller as well. As you can see in the image above, it uses the rather standard PS4 dual-shock layout with a couple of extra goodies built-in. First of all, Google says that it uses Wi-Fi to directly connect in the game that it’s running in the Google data center. This lowers the latency by a lot which is appreciated as far as cloud gaming goes. Now, no explanation has been given on how that’s possible. But, we’ll come back to you once we’ve got more technical details. Apart from that, there is also the capture button. You can use that to “capture” your gameplay and share it with your friends or even upload it to YouTube. Furthermore, there is also the Google Assistant button that you can use for voice commands that developers can integrate into their game or maybe even using the Google Assistant like you would normally do. It hasn’t been clarified yet but we assume that it’s totally possible. Yes, the gamepad has a built-in microphone. No, Google is not interested in spying on you or any other average person. The past cloud gaming solutions have all been focused around PC gaming. But, Google says Stadia is going to support cross platform as well. At the moment, they’ve already managed to support resolutions of up to 4K 60FPS, even though it’s not yet clarified what kind of network speeds we’ll need for that. But, Google also claims that they’ll manage to support resolutions of up to 8K in the future. Yes, we know. 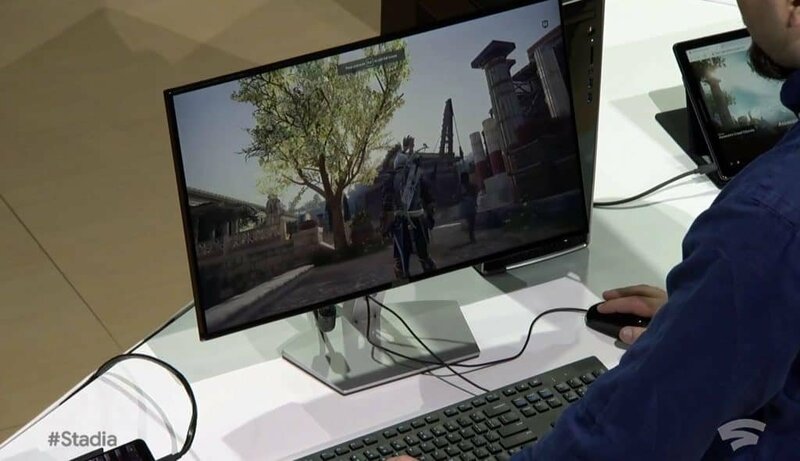 8K gaming is more gimmicky than smartphones with 12 gigs of RAM. Most people are struggling to see the difference between 1440P and 4K. Never mind between 4K and 8K. Google Stadia will be launching this year. We don’t have an exact date yet, but Google will provide us with more details on this summer. What we do know right now, is that Stadia will first arrive in the EU, USA, UK, and Canada. Cloud gaming services recommend an absolute minimum of 10Mbps. More often than not, however, you’ll experience a lot of lag and frame tearing even at those speeds. And let us not forget about ping. If the main servers are too far away from you, then you won’t be able to play normally regardless of how fast your internet connection is. The truth is that a big part of the world right now has crappy internet connectivity. The global average is a bit more than 7Mbps. Sure. Things get better with time. But, at the moment, it’s hard to make cloud gaming accessible for your average person. Especially those who can’t afford a full fledged gaming PC. Cause after all, if you can spend $1K on a gaming PC, then you can probably afford a better Internet connection as well. And then you won’t have any need for a cloud gaming platform anyway. In any case, it’s too early to make predictions. All we know is that other cloud gaming solutions like Vortex and LiquidSky didn’t manage to do all that well and that’s why we have our doubts. But, still, Google is a tech giant and they may manage to perform better. That’s all we got for now.